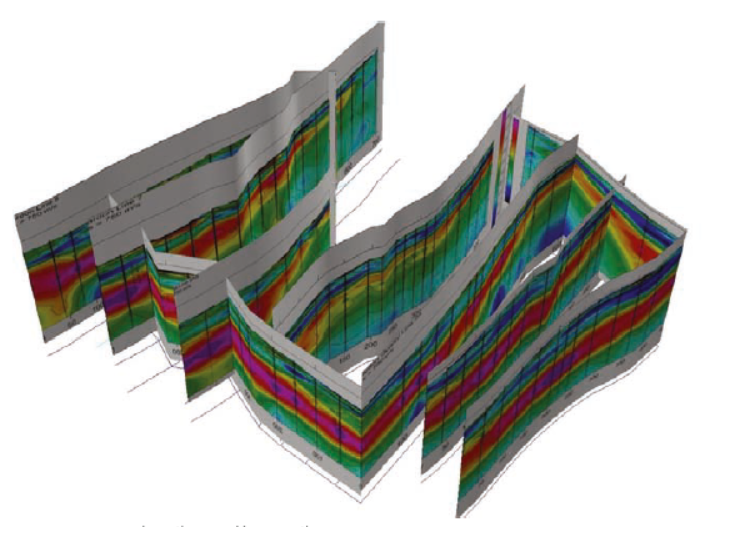 The H/V technique (calibrated through independent geophysical and geological data) is increasingly used to reconstruct the bedrock profile under the cover sedimentary layers. A large number of 3D applications already exists in mining areas, as well as for seismic microzoning, hydrological studies and for the construction of infracstructures. 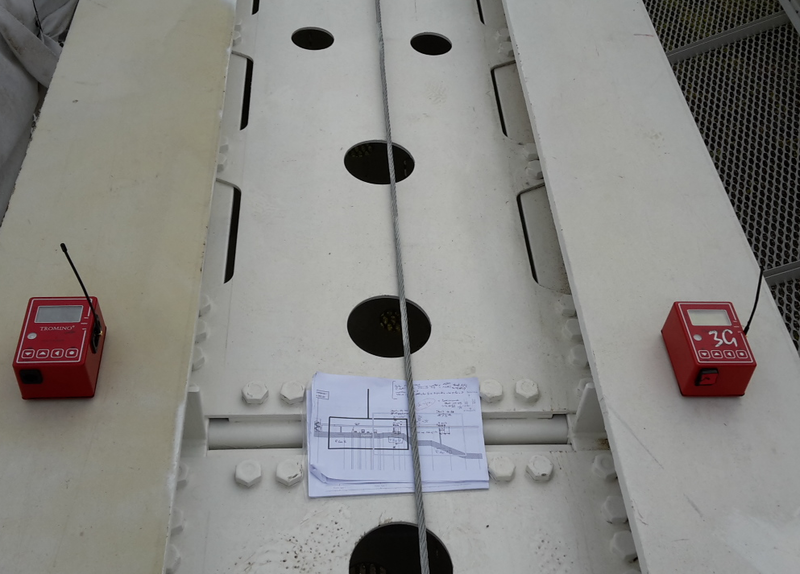 We are honored to see that our instruments have extensively been used in the studies aimed at the reconstruction of the Genova bridge (Viadotto Polcevera di Genova). Can this bridge mark the memory and the future of the town and sustain the culture of maintenance of any engineering construction. 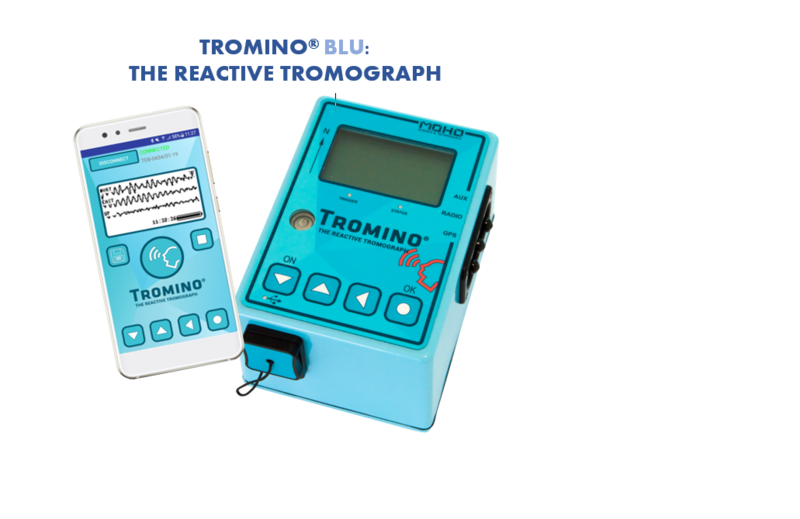 The new generation of Tromino® is blue but the real innovation is not (only) in the color. It lays in the increased sensitivity, vocal commands, wireless transmission capabilities and more. 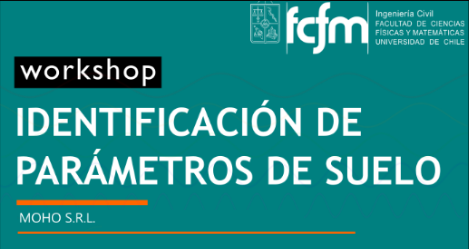 From November 4th to November 12th 2018 MoHo will be in Chile, at the Universidad Andrés Bello, at the IDIEM Universidad de Chile and at some private companies, for some workshops and trainings on the single station and multichannel seismic techniques dedicated to the dynamic characterization of soils and structures in seismic prone areas and beyond. Have you ever talked to your Tromino®? Not yet? Well, this is now possible and it is not only leisure: this makes a number of operations much easier. We are working on the new talkative Tromino® which will be available shortly. New routines to receive alarms from Suricat are also on the way. To see Suricat in pills, click here. To see Suricat at work, click here. 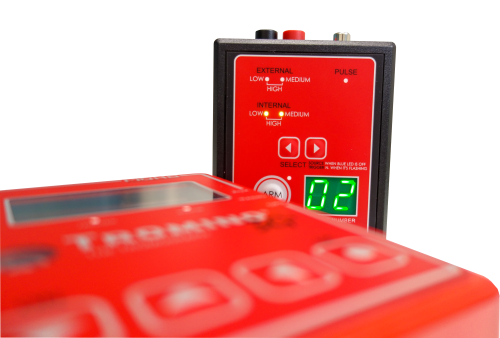 We are also working on new simple ways for transmitting/receiving data/alarms remotely from Suricat and Tromino®. 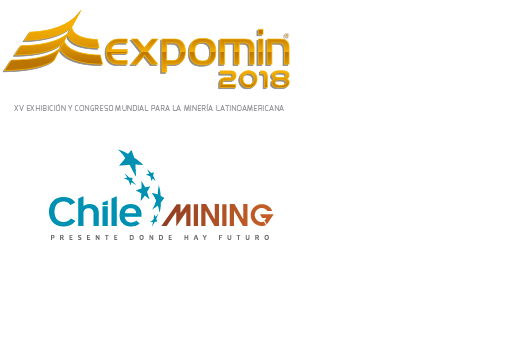 From April 23rd to 27rd 2018 MoHo will be representd by Bialmet at the Expomin in Santiago (Chile, www.expomin.cl ). Come and see us at the boot number 3-F72, hall 3! The demand of Suricat and Tromino® for structural monitoring and dynamic characterization is increasing. Suricat is the tool conceived for the long term monitoring of structural dynamics. Data can be accessed, e.g., through the web. Tromino® is most suited for the ‘instant’ dynamic characterization of structures. Networks of Tromino® employ the radio communication. The picture aside illustrates one moment of the structural characterization of an infrastructure under construction, connecting the airport with the main railway station of the town. For further examples contact us. L’étude du bruit de fond sismique existe depuis le début du 20eme siècle et est de nos jours utilisée dans de nombreux domaines. Nous allons donc revoir les principales caractéristiques de cette méthode et comment interpréter une courbe HV d’un point de vue géologique. Nous passerons rapidement en revue toute ses possibles applications, tant dans le domaine de la géologie que de l’ingénierie civile. Nous verrons finalement quelques cas d’étude grâce au logiciel d’interprétation Grilla. De nombreuses entreprises de géophysique/géotechnique utilisent les méthodes MASW, ReMi, ou ESAC pour étudier la dispersion des ondes de surface afin d’obtenir leur fameuse courbe de dispersion. Par le biais d’un logiciel d’inversion, cette courbe de dispersion permettra de caractériser le sous-sol (profile de vitesse d’onde S). Un rappel sur les principales techniques d’analyse d’ondes de surface sera fait et nous étudierons comment la technique HVSR aide à correctement déployer la sismique multicanale mais aussi à améliorer notre interprétation finale du sous-sol. Ces deux techniques présentent plus de possibilités lorsqu’elles sont utilisées de façon combinée que séparément. Nous finirons le cours en observant d’autres cas d’étude avec Grilla. 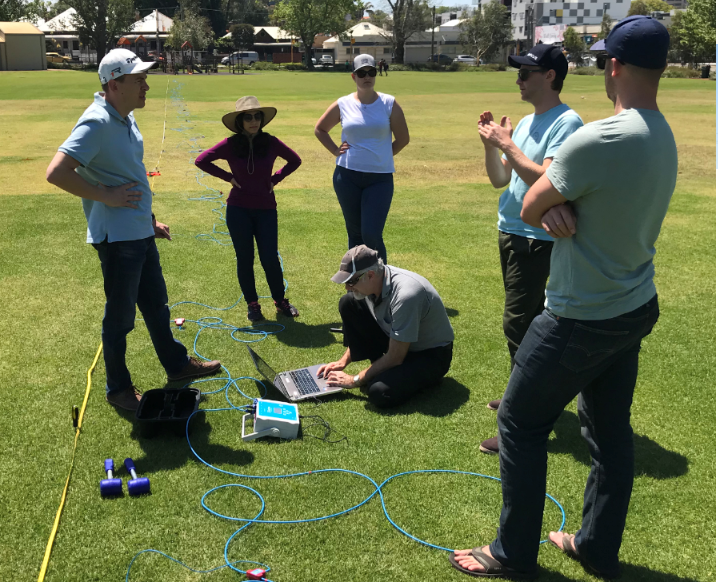 PERTH (AUSTRALIA) – OCT. 12-13th 2017: a two-day introduction on surface wave seismic methods has been held in Perth (Australia). 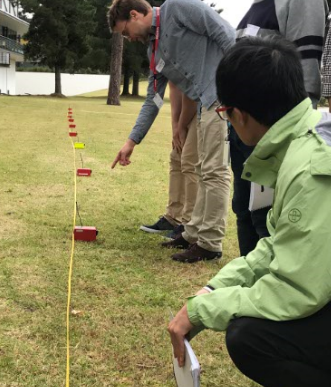 The course introduced the basic principles of the modern active and passive, single-station and multichannel seismic methods. MoHo will be present as exhibitor at the X International Conference on Structural Dynamics (Eurodyn, www.eurodyn2017.it ) in Rome. Come and see us! The new Tromino 3G+ is born! No more removable batteries: it charges as your mobile phone. The new wireless trigger is born! No more external antenna. New visual display to check the development of the multichannel surveys more easily. It can be raised from the ground to increase the transmission distance.